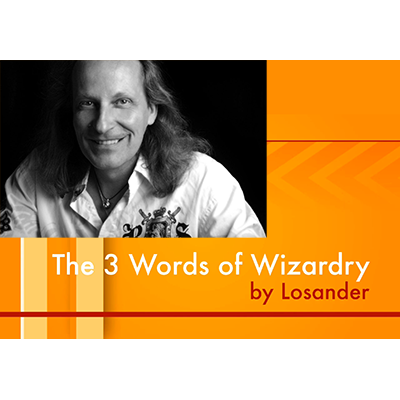 From the creative mind of The Modern Day Wizard, Losander comes a new routine which will entertain audiences everywhere. We all want to know why magicians use magic words and gestures to make the magic happen, well this fun routine with the charm of a magicians apprentice appeal takes you through the 3 steps and levels of magic and how it manifests. Demonstrating power of words, gestures and the ultimate mastery of manifestation , magic through the power of pure thought. A wonderful presentation and a great impromptu routine can be done with anyone's business card or playing card and it will surely create a memorable experience.